The H-950 Swing Check Valve is designed for horizontal or vertical flow (not suitable for down-flow applications). 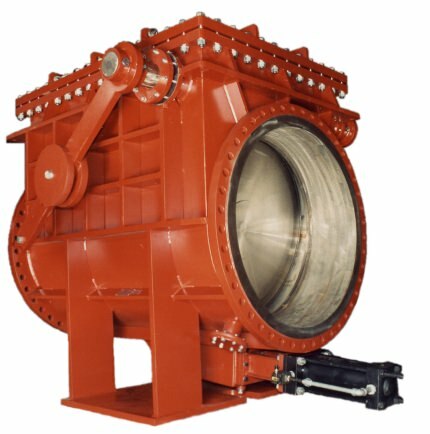 When fully open the valve disc is out of the flow area allowing for 100% uninterrupted flow. Seating can be metal or resilient. The valve comes equipped with a bolted cover which can be removed while the valve is in the line. The connection between the disc and disc arm allows disc to move for precise alignment with the seating surface. The valve is available with external counterweight and bottom mounted buffer. Solid or wetted parts construction in any weldable alloy. Optional abrasion and corrosion resistant designs with hard facing are available.